Perhaps the oldest team sport in history, polo is said to have first been played in Persia more than 2,500 years ago. Historical references to polo date from the reign of Alexander the Great when it evolved from training manoeuvres for the cavalry. As Alexander the Great of Macedonia, King Darius of Persia and other rival conquerors swept across Asia, polo was adopted as pastime by kings and conquerors, to while away the hours and plan their tactics. Fast forward six centuries, and polo was played for the first time in the north-east state of Manipur, India by British tea planters who later introduced the sport to England. A century and a half later, polo is played from Argentina to the UAE and remains a wonderful way to keep fit, enjoy the great outdoors and spend time in the company of magnificent polo ponies. Now even mere peasants like myself can now saddle up and experience the sport of kings. 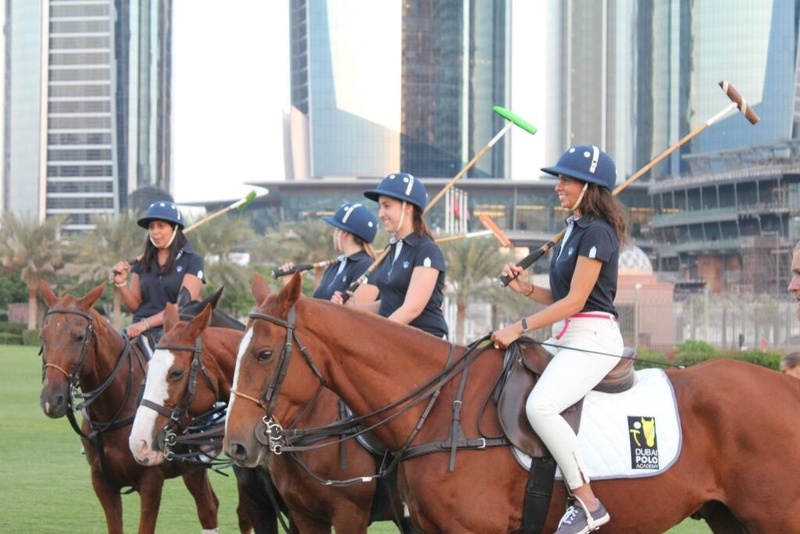 On the eve of Coutts Polo at The Palace which takes place at the iconic Emirates Palace in Abu Dhabi, I joined the Dubai Polo and Equestrian Club Dubai Polo and Equestrian Club for an afternoon of chukkas in the shadow of Emirates Palace. After just a few hours of learning the rules and tactics I learned enough to be able to join two chukkas and even hit the ball! A group polo lesson costs from £99 at the Dubai Polo and Equestrian Club or the Hurlingham Club for details of UK polo clubs.